Arbys Restaurant Group Inc is a chain of fast food restaurant in United States of America and Canada. The company was founded in the year 1964 and has its headquarters situated in Sandy Springs, Georgia, United States. The company has more than 3,600 restaurants in United States, Canada, Turkey, Qatar, and the United Arab Emirates. The restaurant menu includes roast beef sandwiches, curly fries, chicken sandwiches, appetizers, salads, wraps, and submarine sandwiches. The company ranks third position in the largest sandwich chain while Subway and Quiznos topping the list. The parent company of Arbys Restaurant Group Inc is Roark Capital Group and Wendys Company. There are currently 10 consumer reviews about Arby's Restaurant Group, Inc available. Share your review. I really enjoyed eating the Hawaiian and sliced roast beef. It is no longer on the menu. We miss it. Is it possible to have the Hawaiian on the menu again? Since when is it okay for a Manager to humiliate customers? My son ordered and paid for his food. Three women and the Manager stood and looked at him and the MANAGER commented that she thought my son actually wanted someone to fill his order! VERY UNPROFESSIONAL! We will not return to the rudest store in Ardmore Oklahoma. i live in the country,my wife loves arby beef&cheater,the trip is about 20 miles round trip to home. the last 2 times i have got her 2 beef&cheaters the amont on 2 sandwiches may be what goes on 1,i ask why they will not answer me .not at all great.mr bill 8035688871.
bought 4 junior roast beef with swiss cheese. The sandwiches were cold. Bought an onion ring for 1.99 and got 4 onion rings. I have always liked arbys but this is really a huge let down. not sure if I will go back. I am an employee of an arby's in southern michigan, to anyone reading this, don't eat at arby's. ever. if you value your well being, stand 100 yards away at any given time. Your commercial states "Pick Any Five For $6.99 is false advertisement. Because you all are not giving anyone five items for $6.99. you are offering a choice of one of five. It should say "Pick Any One of The Five for $6.99. we got 3 chicken sandwiches, one was raw. my 13 year old daughter took 2 bites before she showed me. I took it back to the Arbys we bought it from. very jerky service and "oh this happens", Im sorry but if my daughter gets seriously ill.. i will be in touch!! 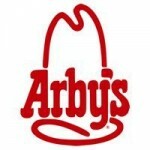 Please take a note that you are about to post a public review about Arby's Restaurant Group, Inc corporate office on CorporateOffice.com. This review will be public, so please do not post any of your personal information on this website. If you would like to contact the corporate offices of Arby's Restaurant Group, Inc, please use their contact information such as their phone number, website, and address listed above to contact them. However, sometimes staff from Arby's Restaurant Group, Inc headquarters do read the reviews on this website.